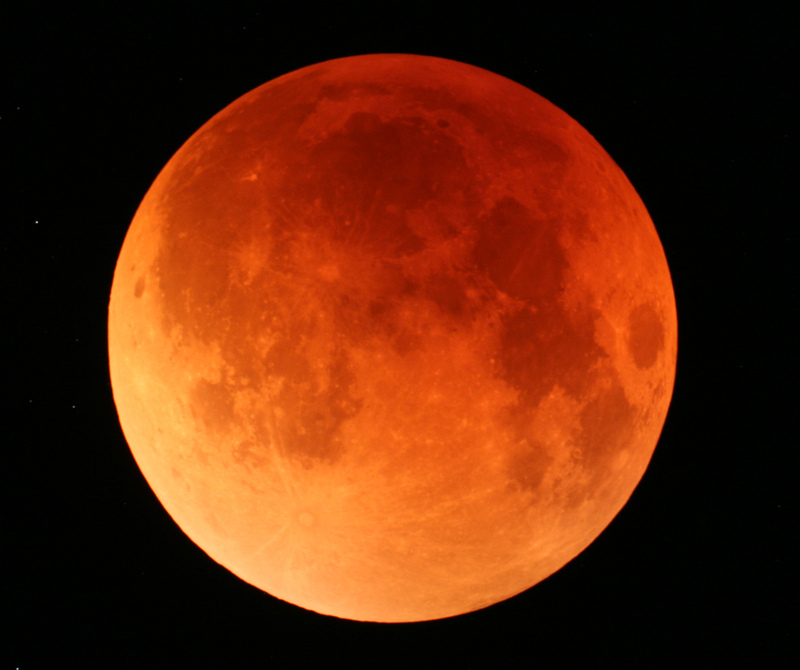 Tonight, September 15, a giant moon will hang low, gloriously gold and swollen, in the night sky. It is a holiday that the Chinese, Japanese, and Vietnamese call the Mid-Autumn Moon Festival. Traditionally, it is the second most important holiday in the Chinese calendar year. Poets have loved this occasion for drinking wine and composing poems, because autumn is China’s most soulful season, as it is not only the season of harvest, but also the season of beauty that can only come from melancholy, the last, vivid gasp of life that a year makes before it succumbs into winter. Lanterns are lit, drinks are poured, and families gather underneath the moon and try to spot the lady, Chang-e, who lives there. Chang-e was married to the archer Yi, who had saved the world by shooting nine out of the ten suns from the sky. The gods gave Yi a potion of immortality, but he loved his wife too much to be an immortal without her. Instead, he gave the potion to her for safekeeping, and when his brother tried to steal it from her, Chang-e drank the potion and flew up to the moon. Chinese children try to spy the silhouette of the rabbit, Chang-e’s only companion in her exile. This was a rabbit who, when a poor monk came begging for food, threw herself into the fire so that the monk could have a meal. On the moon, a lonely woman lies with a martyred bunny. Choke back a sob, and all of you literary interpreters from feminist to Freudian, feel free to eat your hearts out. No single dish is more iconic to Moon Festival than the mooncake. The mooncake is a round shaped pastry that encloses a sweet filling, often with a salted duck egg yolk at the center, frequently with words and images printed on the top and sides. Legend has it that the mooncake helped bring down the Genghis Khan’s Mongol dynasty, which had ruled China cruelly for almost a hundred years. A group of Chinese rebels, lead by a humbly-born but wily general, circulated their military plans by messages tucked not only inside mooncakes a la fortune cookie, but also encoded on the surface of the mooncakes themselves. The mooncakes one sees in the Asian markets in America and Dublin, are generally “Cantonese” style, which is a soft shortcrust pastry enclosing a paste of lotus seeds, dates, or red bean, individually wrapped, and usually six to a box to be exchanged by family members, friends, and work colleagues. However, there are many, many different styles of moon cakes that vary according to region and country. Suzhou mooncakes have a flaky pastry and can be stuffed with seaweed or ham. There are mochi mooncakes, where a sticky rice wrapping replaces the pastry. Fillings can include pineapple, durian, foie-gras, chicken, and the crust can be decked with gold-leaf. There is a Starbucks mooncake, a TCBY mooncake, and a non-fat mooncake. Writer, Chinese speaker, and former Saveur managing editor Georgia Freedman reported on a Yunnan mooncake that was two feet in diameter, with a anise-cookie pastry that enclosed a filling made from crushed peanuts and was cooked between logs and embers. She writes in her blog China, South of the Clouds, “When the cake was done, they removed it from the pan using a method I would never have imagined: they placed a basket on top of the cake, then flipped the whole thing onto one of the women’s heads and lifted off the skillet.” Safe to say, I would not volunteer for either job, head-holder or moon-cake flipper. For the past few months, Jane Hsiou-Ren Byrne has busy in her Terenure kitchen making mooncakes for her friends in and around Dublin. Jane is from the island of Taiwan, so she makes Taiwanese mooncakes, to the delight of her Taiwanese friends here, and also to mine. Taiwan is a place that is special to me. Although my grandparents were from mainland China, my parents grew up in Taiwan. As a child, I had only visited mainland China and waited until my early twenties to visit Taiwan. The minute I had stepped foot on Taiwan soil, I found I had an affinity for the place, its people, its landscape, food, even its heat, traffic, and mosquitoes. Mooncakes, much like Christmas mince pies, are eaten the week before the holiday itself and a week after. Most Chinese people start preparing for Mid-Autumn Festival in the late summer; Jane’s preparations begin at the start of June, where she puts an order to her Taiwan-based sister for all of the ingredients she needs to be shipped. She keeps herself to just a few fillings, taro, date and duck egg, date and walnut, and mung bean, but the shape of each mooncake differs. The taro mooncake is the roundest, and the pastry is snowy and white. The date and walnut is stamped and squashed. They are also exquisite. I’ll be honest, I was never all that thrilled with the mooncakes of my childhood – Cantonese gifts from my father’s family and colleagues. Jane’s mooncakes are not only homemade, they are Taiwanese, and therefore different in every way. Her pastry is flaky rather than chewy and greasy, which is achieved by making two different pastries and then rolling them together. Jane’s cakes are domed, as opposed to the flatter, Cantonese creations, and on the top, you can see the pastry already beginning to peel away with the excess of butter. The average calorie count for a mooncake is 1000 calories a cake. Jane’s mooncakes are worth it. Then there are the fillings. Commercial mooncakes have fillings that tend to taste the same, no matter what the ingredient, but Jane’s are redolent of date, lotus nut, taro. The taro is fluffy, proper mashed taro rather than sweetened taro paste from a can. (Yes, that exists.) My favorite, however, is Jane’s date and walnut filling. The date paste is floral and not overly sweet, there is a chewy heft to it and it is laced with walnut crunch. As in much Taiwanese food, there is an inevitable breath of sesame in both the filling and sprinkled in seeds atop the pastry’s surface. I ate two the first day and understood what the fuss was about. I raved about them to my mother. “It’s because,” she said, “your soul is from Taiwan.” It’s also because Jane’s cakes go so well with moonlight, with wine, with chrysanthemum tea. Thanks to Jane’s cakes, this year, for the first time ever, I will get onto my Dublin balcony, eat pastry in my pajamas, locate the moon, and maybe even recite a verse or two to the lady who lives there.